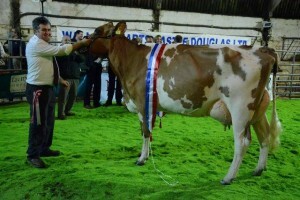 We took the Ayrshire championship and reserve at the South West Dairy Show at Castle Douglas this year. 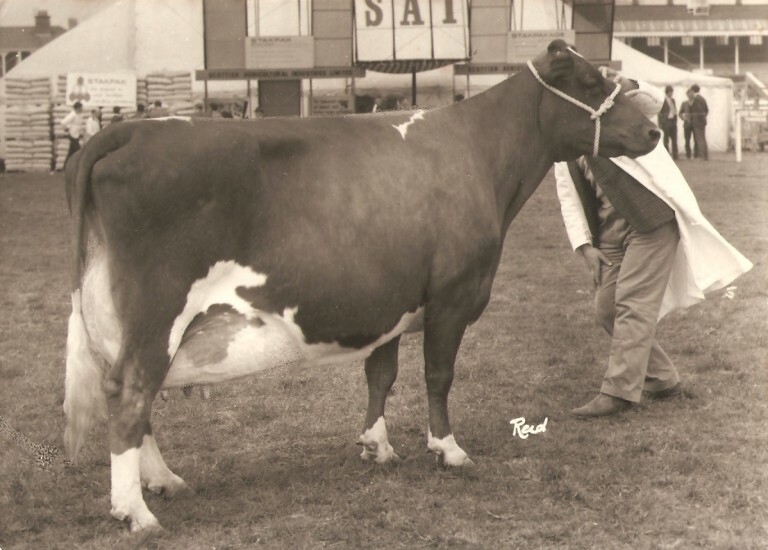 Taking the championship title was Halmyre Urr Louise 260. 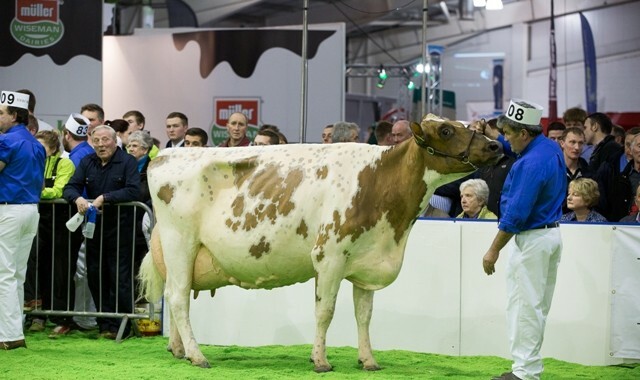 This second calved Palmyra-Tri Star Reality daughter calved in September and stood Ayrshire heifer champion at Agriscot 2013. Standing reserve to her was our first prize heifer in milk, Halmyre Urr Floralin 174, a Barr Regent daughter. 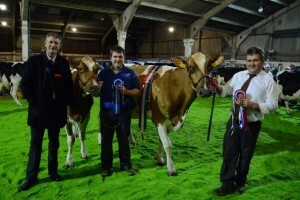 Also in the heifer class we stood second with Halmyre Urr Louise 283, a Burdette daughter, while the Halmyre Urr Lieutenant daughter Halmyre Urr Ladybird 446 stood third. 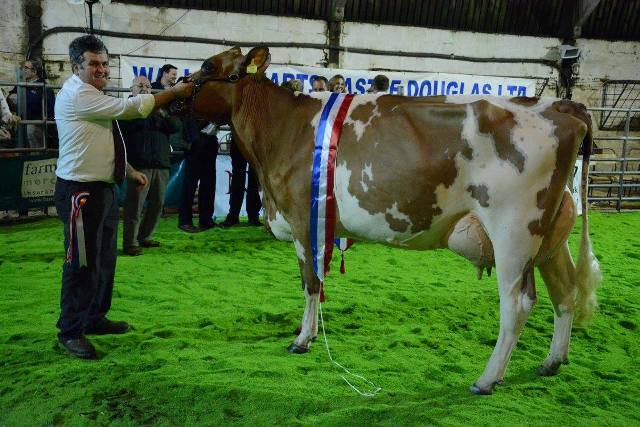 Halmyre Urr Martha 25 EX92-2E stood first in the senior cow class, she is a fresh seventh lactation Howie’s Figo daughter. 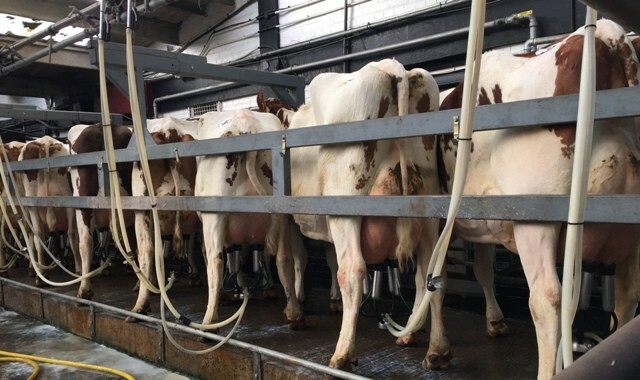 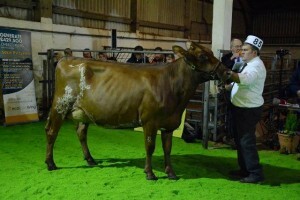 In the interbreed 50t class Halmyre Urr Louise 211 EX95-4E stood fourth, she is a sixth calved Halmyre Urr Jack daughter. Thank you very much to John McLean who was a valuable help in clipping and preparation for the show this year.